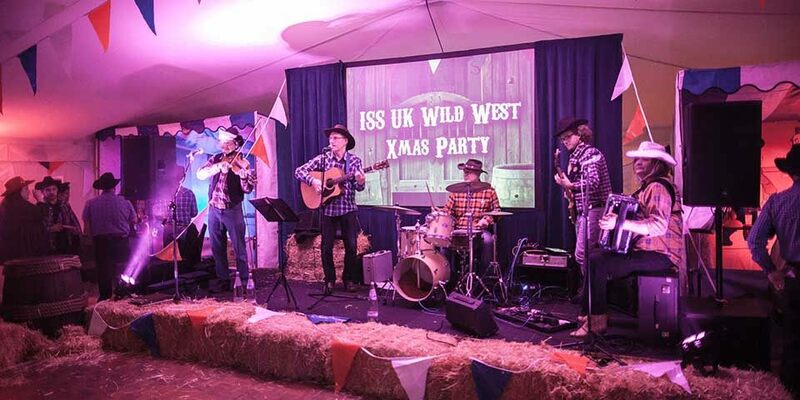 Welcome to the Wild West christmas party! 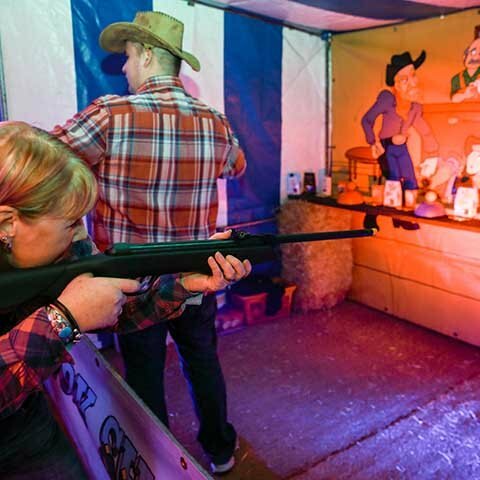 MGN events built a large, fully heated marquee on our client’s head office car park and transformed it into a wild west Saloon for their christmas party. 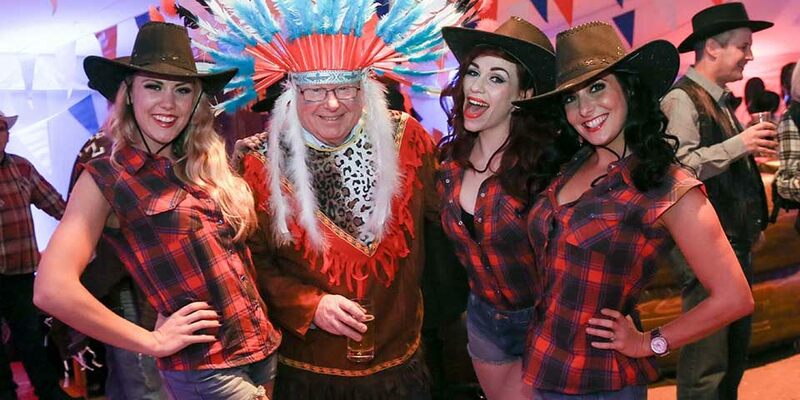 From concept to delivery, everything you see was provided and managed by MGN events (apart from F&B which was provided by their own kitchen staff). Aside from the F&B everything you see was coordinated by our team. 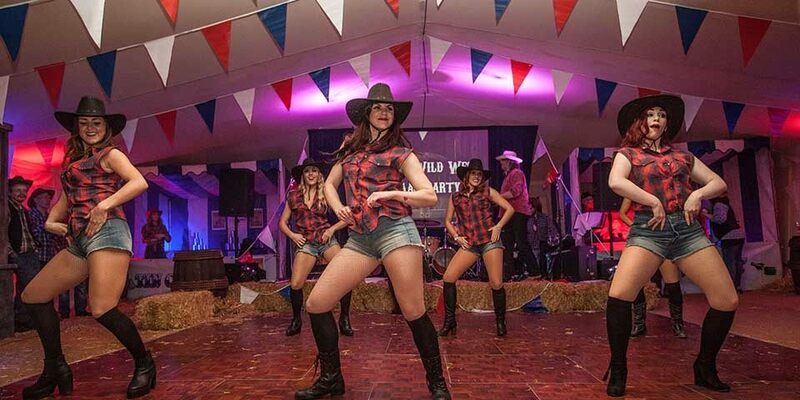 The Wild west theme was chosen by the client but our creative team brought the idea to life! 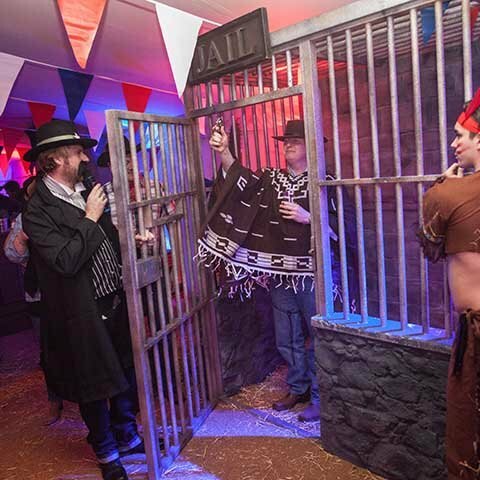 Props included, life size cacti, a wild west wagon, 60 large hay bales, a saloon bar and an 8ft lifesize Jail to hold the prisoners inside until a ransom of £1 was given by a guest (All proceeds raised went to their charity). 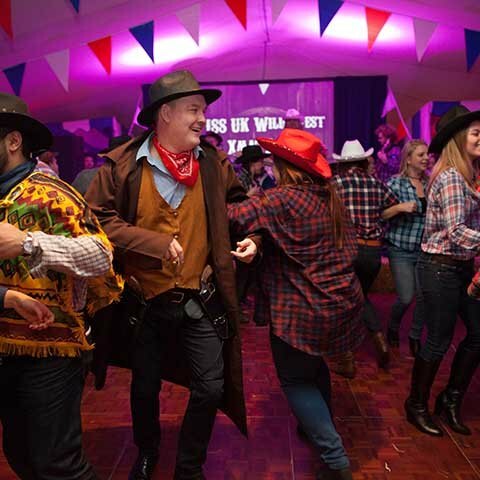 Entertainment flowed constantly throughout the night in the form of a western country band, Cowboy and Cowgirl dancers, Indians and Sheriffs actors kept up the interactivity and surprise all evening! Champagne awaited the guests as they arrived at the entrance to Sky Loft on the 28th floor of Millbank Tower, the venue provided a stunning setting as expected with jaw-dropping views over central London. The venues style was transformed and given a contemporary twist with a furniture and lighting overhaul in the company’s new brand colours. Lots of food. Lots of choice. Two buffet stations, one french and one Italian signifying the brand’s latest move into the European travel market had delicious themed food from both regions to keep guests’ hunger at bay. Our all-star entertainment line-up included a top London DJ. He played funky beats upon arrival accompanied by a violinist and saxophonist. A digital caricaturist and iPad magician entertained guests while waiting staff served canapes and drinks. The iPhone Selfie Photobooth was a great hit with guests too! The main act, were British beatboxing champions, Beatvox! Who stole the show with their unique beatboxing talent!